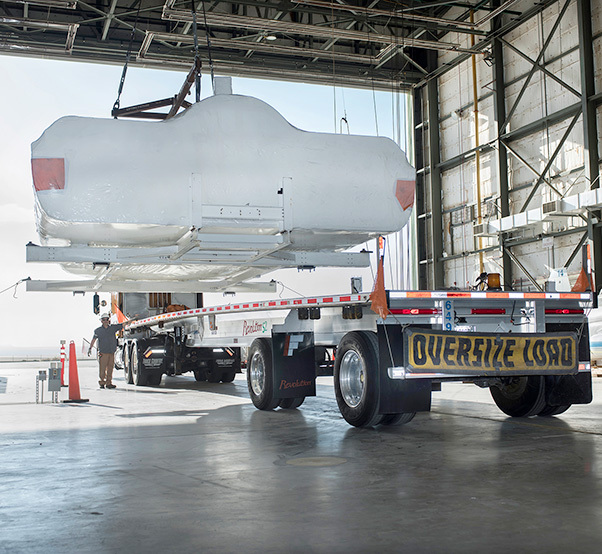 SNC Dream Chaser is lifted on to a truck in NASA Armstrong’s historic space shuttle hangar where the spacecraft stayed as it was being prepared for testing and flights. Dream Chaser is in Colorado at a SNC facility. After nearly 16 months at NASA’s Armstrong Flight Research Center in California, Sierra Nevada Corporation’s Dream Chaser spacecraft departed April 5. 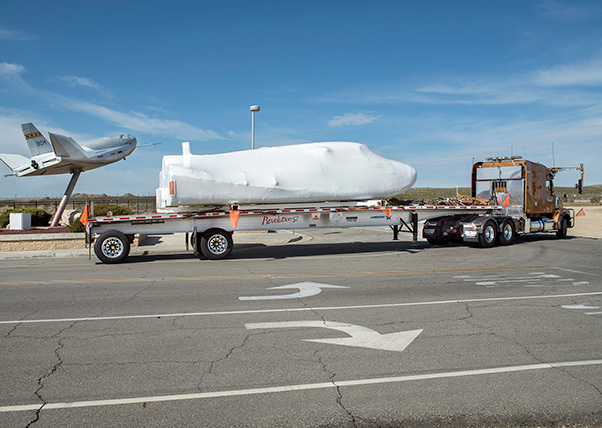 The flight test vehicle is headed to Colorado to be on display in one of the company facilities and may be used to support future manufacturing and ground testing operations. 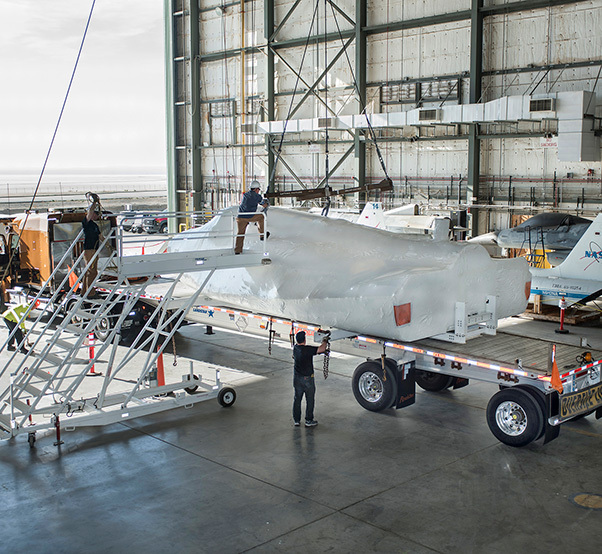 Based on the HL-10 lifting body aircraft design, the spaceplane was at Armstrong undergoing ground and flight testing to validate critical avionics and air data systems and verify aerodynamic characteristics. The testing culminated in a successful runway landing Nov. 11, 2017. During tow and taxi tests, a pickup truck pulled the Dream Chaser test vehicle on California’s Edwards Air Force Base’s two concrete runways to validate the performance of the spacecraft’s nose skid, brakes, tires and guidance, navigation, and control systems. The company performed the tow tests, with releases at speeds up to 60 mph. Taxi tow tests are standard for winged vehicles to prove the overall spacecraft handling post-landing. 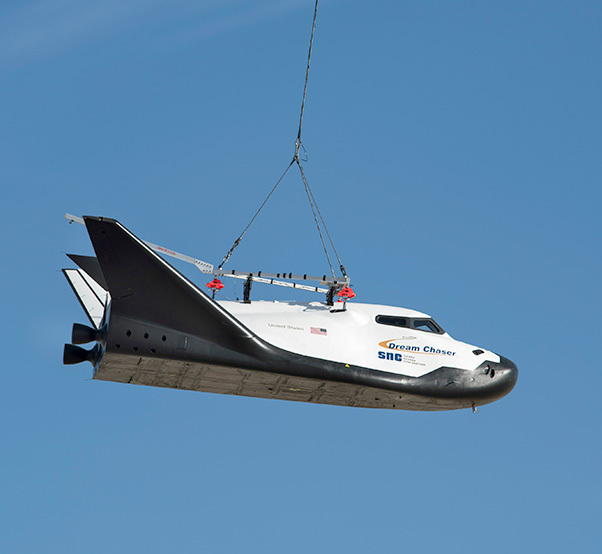 Once ground structural testing and tow tests were complete, Dream Chaser performed a two-flight captive-carry phase during which a Columbia Chinook helicopter picked it up and flew it over the proposed path for the future approach and landing free flight test. SNC Dream Chaser is in NASA Armstrong, previously known as space shuttle, hangar being loaded on truck for its departure from the center heading to SNC in Colorado. The vehicle’s flight computer, guidance, navigation and control system, and state-of-the-art flush air data system were tested, as well as the landing gear and nose skid. Following the captive carry phase, the Dream Chaser performed a free flight test on November 11, being released by the Chinook from approximately 10,000 feet above ground level and autonomously flown to Edwards AFB Runway 22L, successfully landing and rolling out to a full stop, also known for first space shuttle landing on a concrete runway. Armstrong provided hangar space, engineering support and access to the restricted airspace at Edwards Air Force Base. 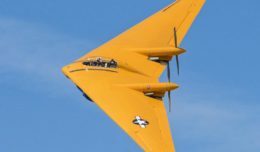 Additionally, the project relied on the base’s support from its Air Force Test Center’s 412th Test Wing and Arnold Air Engineering and Development Center Hypersonics Combined Test Force for range safety analysis and flight test support. AFRC, the 412th TW, and HCTF support enabled Sierra Nevada to successfully test their Dream Chaser vehicle in the approach and landing phase. Dream Chaser departs in front of HL-10 at NASA Armstrong where it underwent testing and preparation for successful approach and landing flight. The spacecraft returned to SNC facility in Colorado. Sierra Nevada Corp’s Dream Chaser was lifted by helicopter from the ramp at NASA’s Armstrong Flight Research Center in Edwards, California, before its successful approach and landing flight test Nov. 11, 2017.